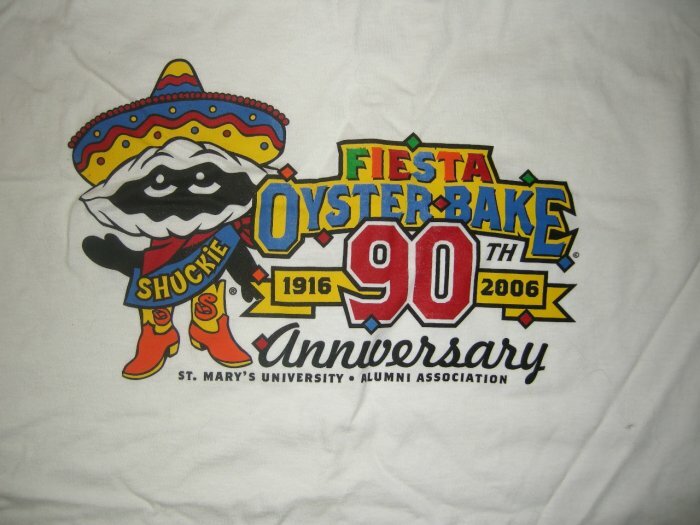 FIESTA OYSTER BAKE SHIRT 90th Anniversary 2006 texas XXL 2XL NEW! CONDITION: New, never worn or washed. No damage of any kind. COMMENTS: Great hard to find event shirt to give, wear or collect! OUT OF USA: 7.00 S&H, payment in US funds by POSTAL money order ONLY.